Directing duo Karni and Saul have collaborated with The Staves to create an absolutely stunning video for the first single from their debut album Dead & Born & Grow (November 2012). It’s wonderfully organic with a mix of techniques including hand drawn imagery and flash animation and gives a brilliant sense of depth and although the woodcut style is obviously an influence it apparently contains no stop-frame animation. It’s a very literal take on the subject and its beautiful animation and quirky characters are charming to behold. The Staves are off on tour shortly with dates primarily across the UK, with a few European ones thrown in for good measure. Follow this link for a full list. Their debut is out now through Atlantic Records, available in all the usual places. 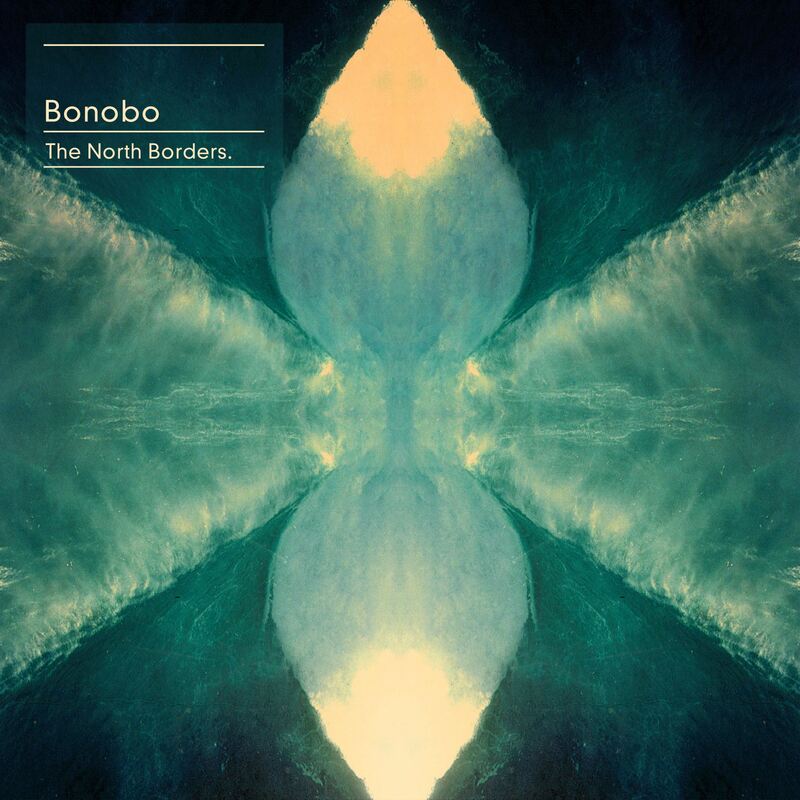 This is old news if you saw it posted last week, but Bonobo makes a return this April with the release of his new album The North Borders. With the announcement he’s unleashed new track Cirrus as a free download. It’s got real groove and sounds a little more experimental than anything we’ve heard before from Simon. I’m especially looking forward to this one as it’s always been fascinating to see how Bonobo has evolved over the years. The artwork’s brilliant (click on the image to see the hires version for those who don’t want to ruin there eyes). The video for Cirrus is also worth a look with some great visuals that marry to the music perfectly. Don’t forget to do your music library a favour and grab yourself the free single. While Flying Lotus prepares Until The Quiet Comes for launch in a little under a months time we’re yet again teased, this time visually, with the bizarre yet beautiful short film by director Kahlil Joseph. From the three Flying Lotus tracks on show here; See Thru To U (feat. Erykah Badu), Hunger (feat. Niki Randa) and Getting There (feat. Niki Randa), it appears Steven Ellison has taken Flying Lotus to a whole new level with a thoroughly cinematic feel throughout that may or may not be aided by Josephs exciting and thought provoking visuals. It’s exciting and at a mere three minutes and fifty seconds, all too short. Until The Quiet Comes releases on 1st/2nd October via Warp Records. I won’t go into too much detail as we covered the album the other month, but below are some tour dates for your diary. Chris Helme returns with The Rookery, the follow up to the 2008 excellent long player Ashes. Helme is most famous for being the frontman in the post Stone Roses band The Seahorses created by John Squire. Squire had found Helme when one of his longtime guitar technicians discovered him busking outside a shop in York city center. The Seahorses released their album Do It Yourself in 1997 and instantly shot to fame on the back of the then flourishing britpop scene and the prominence granted by John Squire being in the band. After three hit singles and two years of successful touring the band fragmented whilst writing their second album, mainly due to clashes between Helme and Squire over the new material. Now with the legacy of The Seahorses fading, especially with the reformation of the Stone Roses getting so much attention, it is great to see Helme forging ahead with his solo career. Returning with a beautiful and more mature tone, the new album follows on from Ashes with a dreamy indie-folk sound, slightly reminiscent of The Coral and early Gomez. The opening track is the instrumental Pickled Ginger, an almost perfect piece of english folk leaving the britpop days of The Seahorses as a distant memory. As the album grows, simple arrangements are bolstered with the gentle use of a string quartet and confident songwriting. The track Plane demonstrates this beautifully and is a highlight of the first part of the album, showcasing Helme’s soulful vocal talent. This is then followed by the excellent The Spindle And The Cauldron which adds a hint of early Led Zeppelin to the mix, with suitable melancholic vocals about an ethereal mysterious girl at his window. The track Pleased steers the sound in a further bluesy direction with Daddies Farm adding a upbeat edge to proceedings and Set In Stone bringing back the subtle orchestration. The rich layered production of the whole album really compliments Helme’s vocals and it’s amazing to believe that the whole record was produced in just nine days in the Yorkshire dales. This is a great album, a gentle, laid back journey, expertly crafted with a good mix of soulful ballads and melodic acoustic rock – all held together with some thoughtful lyrics and excellent vocal talent.